While those fun-sized Halloween candies don’t seem so bad, there can be plenty of calories and sugar packed into such a small treat. If you’d still like to enjoy a little Halloween treat, there’s plenty of more wholesome options. Here are our top picks for healthy Halloween treats. 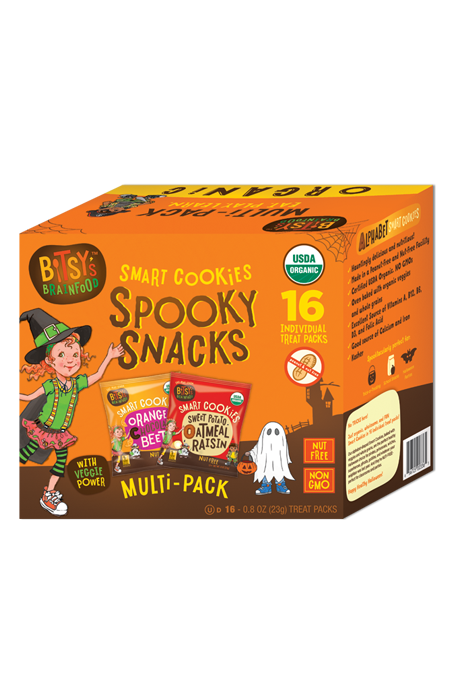 Bitsey’s Brainfood spooky snacks are perfect for the Trick or Treat bowl or for a Halloween party. The alphabet shaped cookies are fun for kids, plus there are veggies like beets and sweet potato hidden in the cookies for extra nutrients. 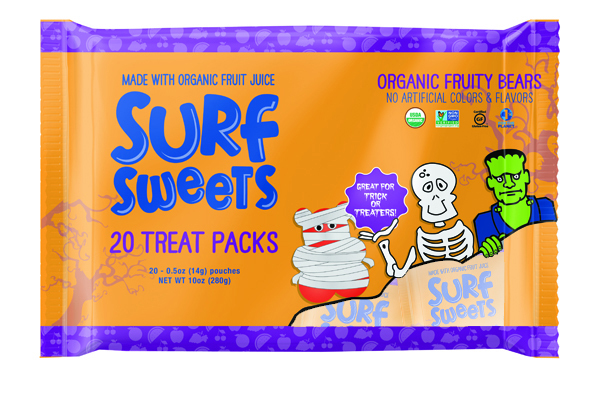 While most gummies contain artificial coloring, flavoring and corn syrup, Surf Sweets keeps things clean. 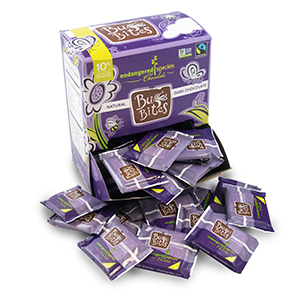 These organic fruity bears packets are made with fruit juice and sweetened with cane sugar. Because of its antioxidant content, dark chocolate is always a great option. These fun bug bites from Endangered Species are made with delicious, fair-trade dark chocolate. 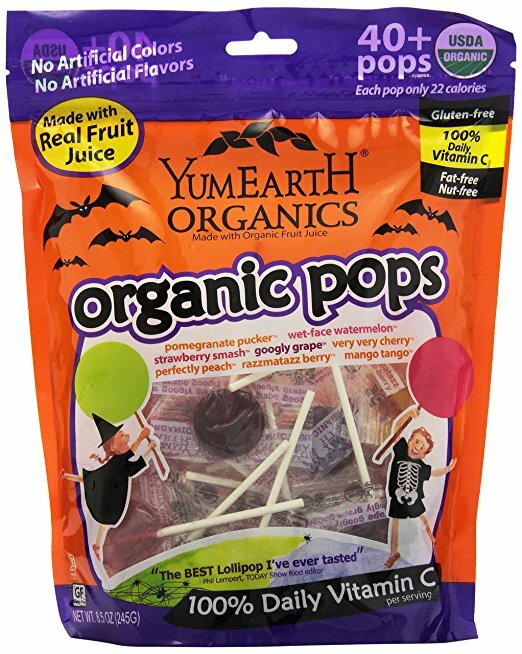 These natural lollipops are gluten-free and free of any artificial color and flavors. They’re also low in calories, makin g them great if you’re craving something sweet. While your favorite candies are delicious, they’re often loaded with not-so-great for you stuff like chemical preservatives, GMOs, soy, and more. 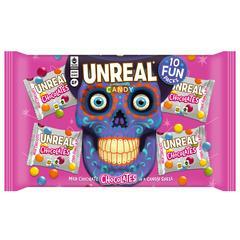 Unreal remakes your favorite candies, subbing in whole food ingredients like extra cacao and peanuts. We’re all for a good PB cup, but many are really high in sugar and hydrogenated oils. 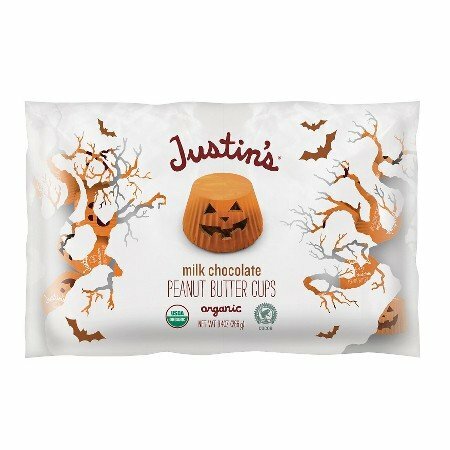 Justin’s delicious option contains organic peanuts and cocoa butter. Because its high in fiber, popcorn makes a great snack. 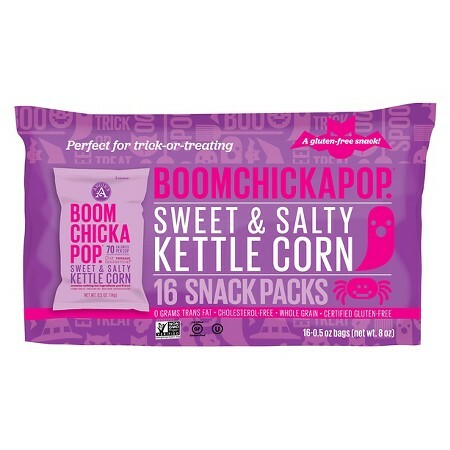 These treat bags from Boomchicka Pop are low-calorie and made with whole grains, making them a great option. This entry was posted in Uncategorized on October 24, 2016 by Janelle Martel. Summer is a great time to mix up your workout routine and try out fun activities like paddleboarding that also happen to be a great workout! While its always fun to try something new, we admit that it can be a little intimidating. Follow these tips to help you gain confidence as you take on new adventurous summer sports. 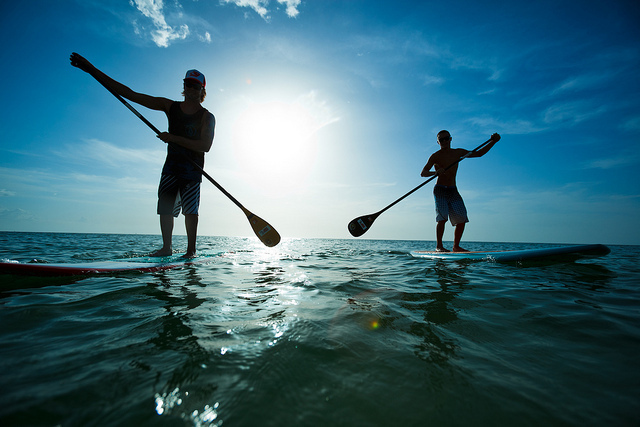 Good for: Stand up paddleboarding is a great, total body workout. You can expect to get cardio in on your paddle, plus you’ll really be engaging your core and upper body while using your balance. This entry was posted in Fitness Tips, Uncategorized and tagged canoeing, fitness, fitness tips, kayaking, standup paddleboarding, summer fitness, swimming, wakeboarding, water activities, water fitness, water sports on July 26, 2016 by Janelle Martel. We all know just how overwhelming stress can be – and thinking about managing your stress can quickly cause even more stress! 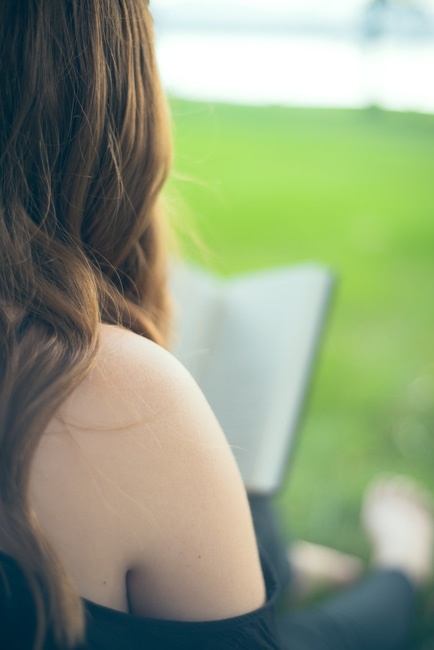 If you’re needing a little extra help to wind down, these simple tips are great to keep in your arsenal. While staying positive is a great way to combat stress, it’s not quite that easy! Taking the time to practice gratitude is a great way to help train your brain to notice the positives. We suggest keeping a gratitute journal, where you get into the practice of writing down 3-5 things each day that you are thankful for. Before you know it, you’ll find that you’ll begin to find the good that is around you. Because not every day is good, but there is good in every day! 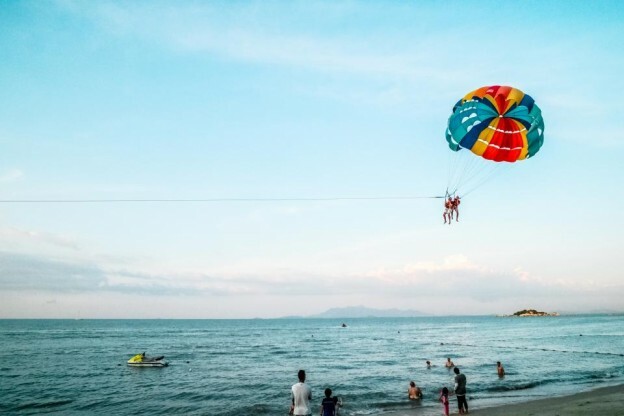 This entry was posted in Uncategorized and tagged happiness tips, meditation, mind-body connection, stress hacks, stress management, stress relief on May 2, 2016 by Janelle Martel. Booya Fitness is an on-demand video platform that partners with boutique gyms and high-quality instructors to bring you the industry's most fun and challenging workouts.